Opposition should not “bother” going to Geneva talks if they expect Syria's Bashar al-Assad to resign, says foreign minister. The Syrian government will not go Geneva talks to hand over power and the opposition should not “bother” going if they expect President Bashar al-Assad to resign, Syria’s foreign minister said on Monday, according to Al-Arabiya. “If your condition is President Assad’s resignation, don’t bother coming,” said Syrian Foreign Minister Walid al-Muallem at a Damascus press conference. 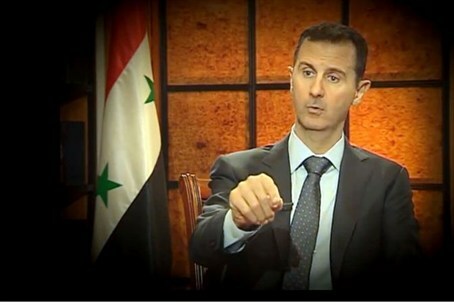 Muallem slammed the decision by “Friends of Syria” to arm the rebels, saying the move would only prolong the war. “What was decided in Doha is serious because it aims to prolong the crisis, violence, and killing and encourage terrorism,” he said, asserting that rebel fighters had little prospect of matching the power of Assad’s army despite foreign support. “If they expect or fantasize that they can create a balance of power, I think they will need to wait years for that to happen,” Muallem added, according to Al-Arabiya. Meanwhile, Iranian Foreign Minister Ali Akbar Salehi said Iran may participate in the upcoming talks, Press TV reported. “If invited, we will definitely take part at the international Geneva conference on Syria,” Salehi said at a Saturday joint press conference with his visiting Lebanese counterpart Adnan Mansour in Tehran. On May 7, Russia and the United States agreed in Moscow to convene an international conference on Syria, which will be held in Geneva and serve as a follow-up to an earlier meeting held in June 2012.